So, after all the talk we’ve finally been shown what Microsoft has been planning for the next Xbox console, and it’s looking very interesting indeed. Whether you’re more excited about the new TV features, the Kinect-ified interface or the next-gen games, there’s plenty to digest after Microsoft’s big reveal. As gamers as well as fans of the odd TV show, we’re giddy about it all really, but it’s the games that sell consoles at the end of the day, and Microsoft’s Xbox One isn’t going to be short of a game or two. During the announcement event earlier today, Microsoft confirmed that there would be fifteen first-party games coming to the platform inside the next twelve months, and eight of those would be brand new franchises. That means new games, and new stories to play through – and that’s just from Microsoft. With the likes of EA already working on games for Xbox One, we’re sure to be in for some great titles over the next year, hopefully with some AAA titles landing at launch time. Before we get into which games were debuted by Microsoft today, it’s worth noting that the Xbox One will not be backwards-compatible with the current Xbox 360 console. That means that if you want to keep playing that huge library of titles that has built up over the last eight years, then you’ll need to keep that Xbox 360 under your TV somewhere. You know, because there aren’t enough boxes under there already. But it’s not about Xbox 360 games today, it’s all about what Microsoft will be bringing to the table with the Xbox One. One of the first titles to put in an appearance was the brand new Quantum Break. If Quantum Break looks familiar, it’s because it’s made by the folks at Remedy Entertainment, the same guys that made Alan Wake. Little’s been announced about the title, and with E3 around the corner we expect to hear more then, but after watching the trailer for it we’re far too excited for men of our age. If it plays as well as it looks, then it’s going to be an Alan Wake killer. And we really, really liked Alan Wake. Think Alan Wake but more Sci-Fi than mind bending, and you’ll be about there. Turn 10 Studios also gave us a glimpse of Forza Motorsport 5. There’s not much to say about that really. It’s Forza. It’s the fifth game. It looks stunning. We’ll all play it. Perhaps the most interesting news was the announcement of a new ‘special relationship’ between Microsoft and Electronic Arts, which sees the company’s sports games get Xbox One-specific additions. EA’s FIFA 14 was top of the pile, with Madden NFL, UFC and NBA Live also set to make an appearance on the new console within twelve months. EA showed off some of the animations involved in making its new titles, and they looked stunning. That’s a given at this point, but all the sports stars EA trotted out seemed very excited about it all. Presumably because they’re getting paid! We can’t talk about EA Sports games without also talking about the Xbox One’s new Xbox Live system. Just like Sony’s PS4, the Xbox One will let users record their best moments in-game, allowing them to show off to their friends when they do something special. Thanks to Skype support, they’ll also be able to call them should they really want to trash talk, too. Microsoft is also revamping Achievements, with moments before an Achievement is unlocked automatically being recorded and saved for posterity. Everything is saved to the cloud, too, so your machine won’t end up full of videos from when you scored that 100th goal in FIFA 14, for example. Other games that are set to see Xbox One versions include Assassin’s Creed 4, Battlefield 4, Destiny and Watch Dogs, with Ubisoft confirming that the pair are two of at least six titles to be coming to the new console inside its first year. Whilst not strictly a game, we were very excited to hear that award-winning filmmaker, director and producer, Steven Spielberg is to executive-produce a Halo live-action TV series with special One-only content. Little was said other than the fact it’s being made, but we can’t wait to see what the best in the business does with one of the most loved gaming franchises of the last ten years. Something awesome, hopefully. With E3 kicking off on June 10th, Microsoft understandably kept plenty back. During the event, games felt like they were taking a back seat to the Xbox One hardware and its new TV features, but we expect the opposite in a couple of weeks. 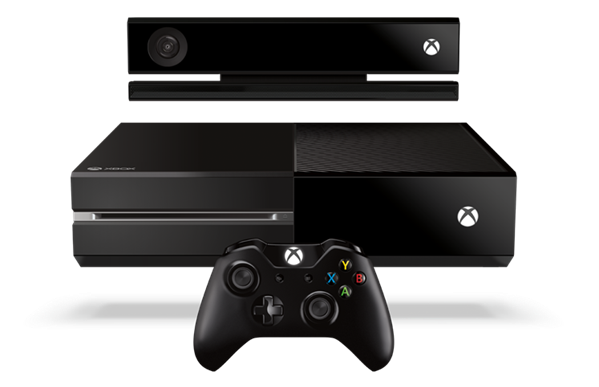 It may be converging hardware, but make no mistake, the Xbox One is a game console through and through. Can we have one yet?